Three twenty-somethings meet. One of them claims to be an arsonist. 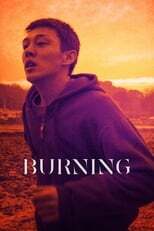 Burning is directed by Chang-dong Lee and was released on May 17th, 2018. Director Chang-dong Lee's Mystery & Drama movie Burning is produced by Pinehouse Film & NOWFILM & was released 2018-05-17.